The strain that changed the face of cannabis culture across the world continues to amaze weed-lovers more than a quarter-century after her release! The original Skunk hybrids fused traditional cultivars from Central and South America, Afghanistan and Thailand. Through generations of intensive selection and back-crossing, the very best examples of Skunk were stabilised into the first true-breeding Indica-Sativa hybrid - the classic Indica-dominant Skunk #1. The potency of this branch of the cannabis family tree is so notorious that ‘skunk’ is often used as a name for any powerful ganja. Breeders regard Skunk #1 as the benchmark of uniform, reliable performance and her rock-solid genotype has influenced a hundred modern hybrids. 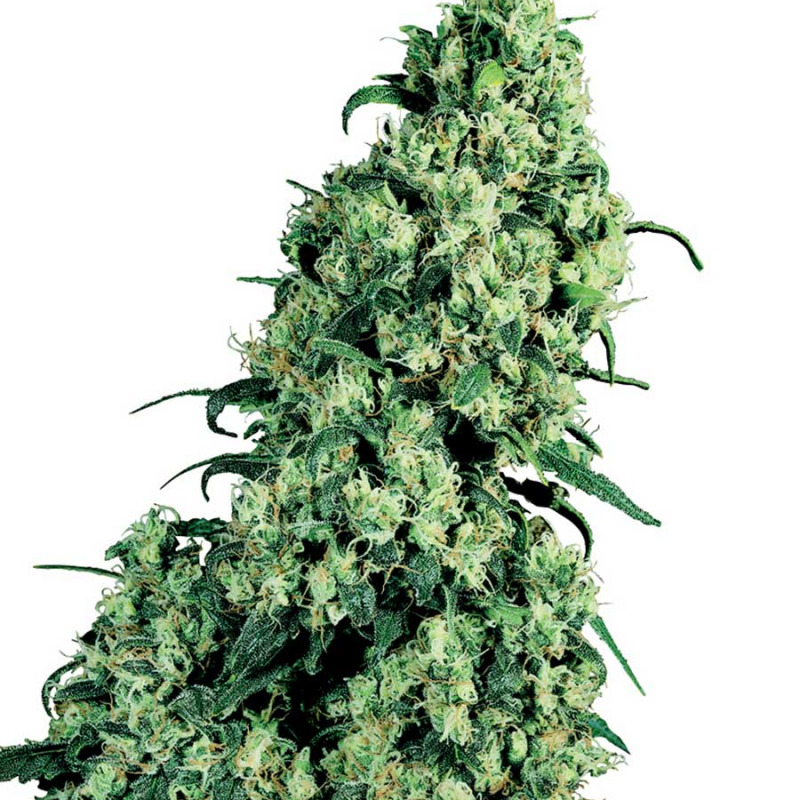 Skunk#1’s energetic performance and bountiful yields demonstrate the true meaning of hybrid vigour. Growth and flowering are mostly-Indica in appearance, with Skunk #1 gaining a little more height than a pure Indica when blooming. The extra-dark green of this strain’s leaves comes from her Afghanica ancestors and contrasts sharply with her lime-green growing tips. Sativa heritage is most apparent in Skunk #1’s beautiful calyxes, long, profuse pistils and her habit of expanding bud-growth in all directions as harvest time approaches. Sativa also has a wonderful influence on Skunk #1’s potency and effect - a stunning combination of stone and high.